No matter who wins or loses, one thing is certain: sports fans are everywhere. Sports connect and bond people together in a way that nothing else does. Even bitter rivals have something in common -- they both love their teams. 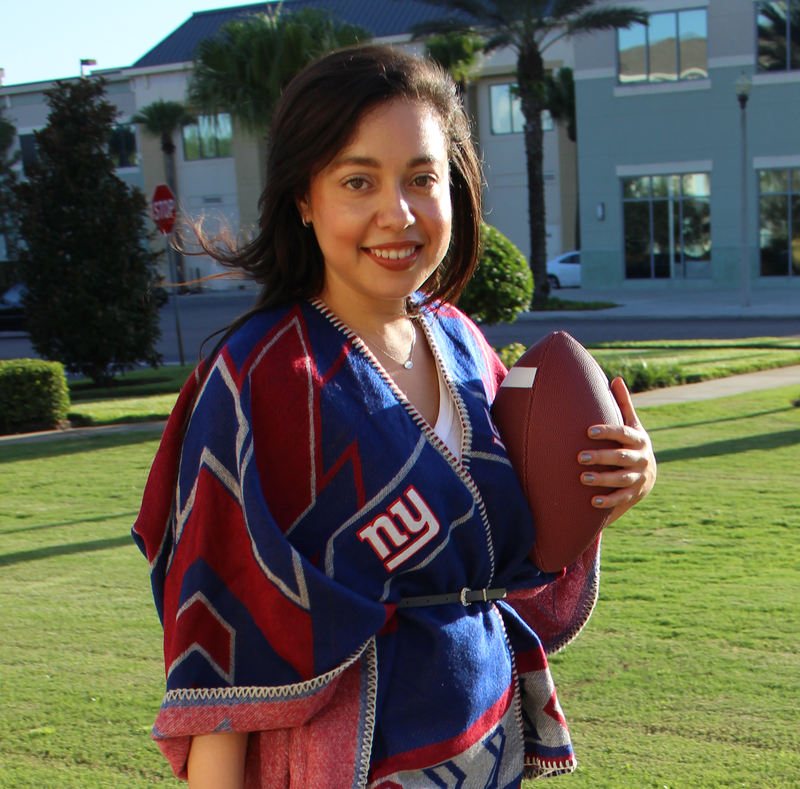 In the spirit of celebrating all kinds of sports fans, The Style Ref will occasionally profile fellow bloggers who can't help but love their teams in a fun feature called Sports Fan Friday. While they may devote their time to writing about topics other than sports, we're all fans on gameday. 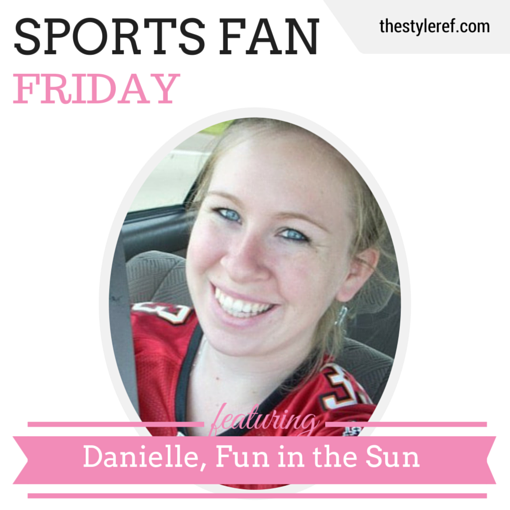 To kick off Sports Fan Friday, let's get to know Danielle from Fun in the Sun! What do you write about? Fun things to do in Florida! What’s your connection to these teams and why are you a fan? Orioles: My mom is a huge Orioles fan and got my brother and I hooked on baseball from an early age. Growing up in Maryland, we used to attend the Orioles' annual FanFest event at the Baltimore Convention Center and games at Camden Yards. Now living in Florida, we try to make it over to Sarasota at least once a year to catch an O's spring training game or to St Pete to see them play the Rays. Buccaneers: When I moved to Florida, I knew nothing about football which seems crazy now because I am usually the loudest one in the room when my team is playing! I attended my first NFL game at Raymond James stadium in 2006 and the Buccaneers became my favorite team. In my opinion, we have the coolest stadium in the league with a pirate ship in the north end zone! I have grown to love the team and support them even when it gets hard to watch. UCF Knights: Being a UCF alumna, the Knights have become my favorite college football team. Going to the games now brings back memories of fun times we had in college jumping around to Zombie nation, being tossed in the air when the Knights scored a touchdown, and screaming at the top of my lungs when we were on Defense. I bleed black and gold. Describe your go-to gameday outfit: On game day, I can almost always be found in a jersey or a cotton T-shirt and shorts representing my team! Favorite places to shop for team gear: I am pretty frugal when it comes to shopping for almost anything, so I typically look for sales online when buying new team gear. I almost never spend full price on gear for myself. Favorite gameday tradition: Getting everyone together to watch the games. We set up multiple TV's at the house so everyone can watch their team and it turns into a party every Sunday. Fill in the blanks: I love to eat wings and drink beer on gameday. Best sports fan memory: When I was 7 years old, I remember watching the Orioles game in the living room with my mom and little brother. Cal Ripken, Jr broke the consecutive games played record that night and I remember my mom crying as she watched the game. We didn't understand why she was so emotional until this past season when the Orioles clenched the ALDS on my mom's birthday. Mom, my brother and I were all watching the game together and our stomachs were in knots the whole time. When the game was over, we were all so relieved and happy that we just stood in the living room hugging and crying happy tears together. I love that sports can bring people together like that and how emotional the game becomes when your heart is fully in it. Know any bloggers who should be featured on Sports Fan Friday? Leave a comment with their info! Leave your blog URL, so I can get in touch!